Octagonal vinyl louvered gazebo Cupola.COPPER ROOF. 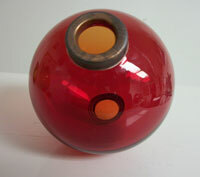 Very high quality vinyl gazebo cupola.Standard COPPER roof. Very high quality vinyl gazebo cupola.Standard copper roof with vinyl finial. Vinyl cedar roof cupola / 3/4'' weathervane hole built in. 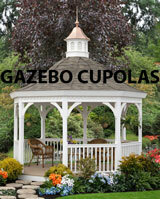 HIGH QUALITY VINYL WOOD TOP OCTAGONAL GAZEBO CUPOLA.SELECT OPTIONS ABOVE. Octagonal vinyl window gazebo Cupola.wood ROOF. Very high quality vinyl gazebo cupola.Standard wood roof. Octagonal vinyl WINDOW gazebo Cupola BLACK ALUM ROOF/finial. Octagonal vinyl WINDOW gazebo Cupola.BLACK ALUM ROOF. Octagonal vinyl window gazebo Cupola.COPPER ROOF. Very high quality vinyl SHED cupola.Standard COPPER roof,with 3/4'' WEATHERVANE HOLE.this is also ideal for a 4 sided gazebo.click here for more styles. USE Dropdown box above to choose a bigger size. 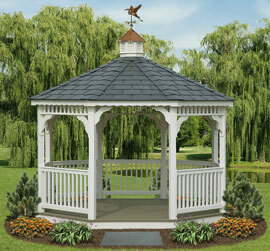 ELITE GAZEBO SERIES CUPOLAS.Available in vinyl or by special order cedar. Metal Gazebo Cupola-PAGODA ALUMINUM ROOF -LOUVERS.Choice of colors. USE Dropdown box above to choose a bigger size. ELITE GAZEBO SERIES CUPOLAS.Available in ALUMINUM in COLORS OF YOUR CHOICE. Metal Gazebo Cupola-PAGODA ALUMINUM ROOF -WINDOWS.Choice of colors.